The purpose of this study was to investigate the influence of goal specificity and scaffolding on the programming performance and self-regulation of elementary students engaged in learning game design. This study recruited 232 students for the experimental activities. Two levels of goal specificity were employed: specific and nonspecific. Structuring and problematizing scaffolds were also used to support students in the process of learning. Our results reveal the following: (1) nonspecific goals and structuring scaffolds led to superior comprehension of programming, (2) nonspecific goals with problematizing scaffolds led to better problem-solving performance, (3) problematizing scaffolds were more effective than structuring scaffolds in the development of self-regulation behavior, and (4) nonspecific goals were more effective than specific goals in the promotion of resource management associated with self-regulation. Feng & Chen. (2014). The effects of goal specificity and scaffolding on programming performance and self-regulation in game design. 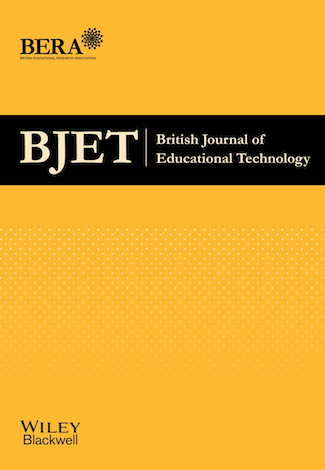 British Journal of Educational Technology, 45 (2), 285-302. Wiley. Retrieved April 20, 2019 from https://www.learntechlib.org/p/130578/.